A Galveston County sheriff said while some of the victims may have been caught in the crossfire, he does not believe any were killed by bullets from law enforcement officers. Police responding to shots fired inside Santa Fe High School Friday morning engaged in gunfire and negotiations with the gunman for approximately 25 minutes before his eventual surrender. Galveston County Sheriff Henry Trochesset said Monday that two police officers, including a school resource officer, arrived at the school’s art lab four minutes after the shooting started and began exchanging gunfire with the gunman. Two sheriff’s deputies arrived not long after and also began engaging with the gunman in addition to attempting to convince him to surrender during lulls in gunfire. “He’s actively shooting. He’s in the art room. We’ve got, we’ve got shots fired right now. We need you all up here,” another male voice says at about 15 minutes after the shooting began. Trochesset revealed that a single negotiator talked to the gunman. 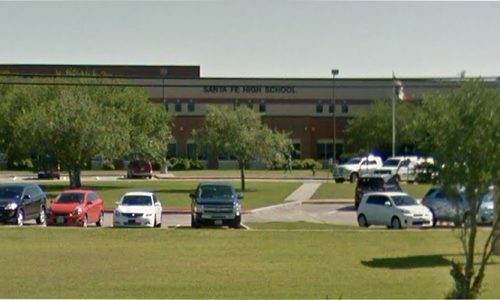 Ten others were wounded during the encounter, including Police Officer John Barnes, a Santa Fe school resource officer. He remains in critical condition and intensive care. The gunman was not hit in the gunfire with police. Trochesset credits the responding officers with keeping the gunman from going to other classrooms, allowing the rest of the school to evacuate, according to NBC DFW. Approximately 200 officers from law enforcement agencies throughout the region responded to the 1,400-student school. Trochesset also said Monday that some of the ten people killed may have been caught in the crossfire but that he does not believe any of the victims were killed by law enforcement officers. Trochesset added he doesn’t think any additional students were shot after officers confronted the shooter but can’t say for sure until autopsies are completed. A “decent amount of cameras in the school” will help investigators piece together a timeline, he said. 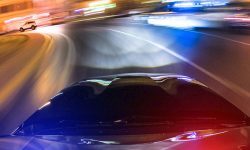 Galveston County Judge Mark Henry said investigators are still working on the timeline and cautioned that emergency dispatch traffic doesn’t always reflect real time. Police have also confirmed that the explosive devices the gunman scattered through the school and across the campus were cricket bombs, which are made by filling spent carbon dioxide cartridges with gunpowder and adding a fuse. Similar devices were created by the two gunmen in the 1999 Columbine High School shooting. Always watch your background, take clear shots when available, do not be responsible for adding unarmed non-combatants tp the victims list.